Classes are held at the Atlanta Duplicate Bridge Club, the Family Life Center of 2nd Ponce Baptist Church and at Peachtree Presbyterian Church. The classes are offered September through November, January through mid-May and June through July. A typical class will run 6 to 7 weeks with classes lasting 1 1/2 to 2 hours. The instructional format begins with a lecture supported by notes or a textbook and bridge play of instructional hands demonstrating the topic of the lecture. Bridge, friends and fun creates great learning experiences. Book private classes for instruction, convenience and individual attention tailored to your needs. Patty will come to your home or a venue of your choosing. Classes last 1 1/2 to 2 hours and are given from September through November and January through April. One-time private classes may also be available. A typical instructional format is a lecture supported by notes or a textbook and bridge play of instructional hands demonstrating the topic of the lecture. Bridge with your friends is always fun. Seminars are available in your area on request. Seminars are great tools for fund-raising, convention entertainment and group learning. Seminars usually last 2 to 3 days but can be tailored to meet your requirements. 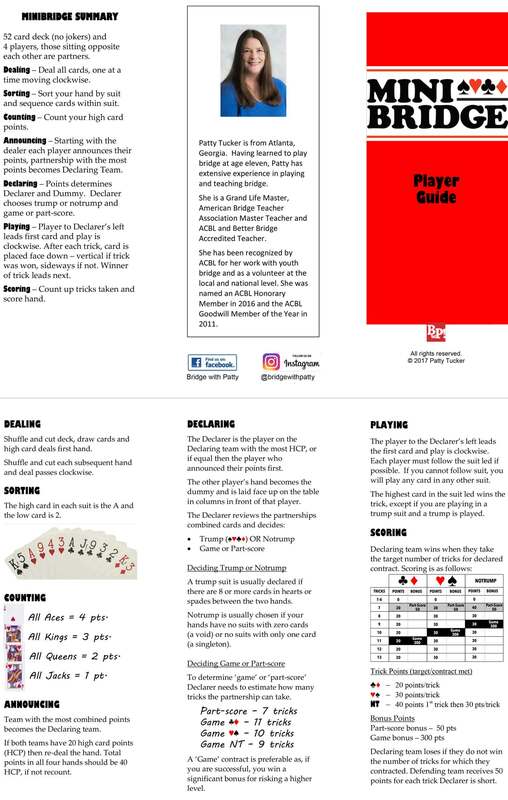 The instructional format will be a lecture with a PowerPoint presentation, a textbook and bridge play of instructional hands demonstrating the topics covered. 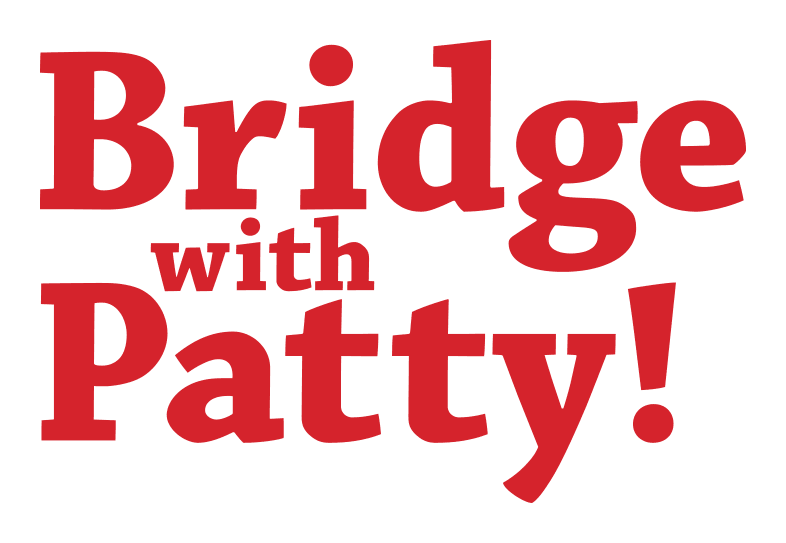 A variety of workshops on bridge topics are available throughout the year. This is a concentrated 2 or 3 hour study of a particular topic. The instructional format begins with a lecture supported by notes or a textbook and bridge play of instructional hands demonstrating the topic of the lecture. My workshops are held at the Atlanta Duplicate Bridge Club in Dunwoody or the Gym at Peachtree Presbyterian Church. Check the Class Schedule to see the clinics scheduled. Workshops are also available in your area on request and can be great tools for fund-raising, entertainment and group learning. They can be tailored to meet your requirements and held at a venue of your choosing. Patty is available play as your partner. The instruction will consist of duplicate play followed by a one-hour review of the hands played including, bidding, play and defense. Pricing is dependent on the location and type of game (Local, Regional, Sectional) and is billed per session.